Rigs of Rods isn't a linear game, perhaps to describe it as a game at all is an injustice, it is a sandbox simulator that allows you to control a selection of vehiles throughout its open world. As a tool for budding game developes to learn about physics within computer games it may be very useful, however if you are looking for fun you may find it lacking here. On first play we missed the door (that your character is stood right in front of!) which meant that the game became a very low poly kind of wlaing simulator while traversing the land wondering where the promised vehicles are, on he second attempt though we were able to drive a bus among other things around the world, fun is perhaps the wrong word but it was certainly more interesting than walking around it. 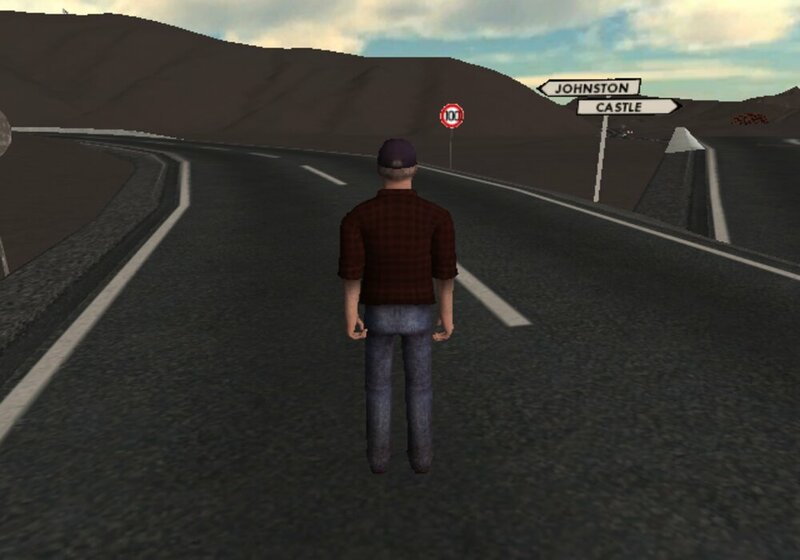 As the player you are able to strip it back to a very basic landscape which may help thise learnig about developing games, ad driving the bus was not dissimilar to slow paced games such as bus simulator. A tool that could be useful for young game developers but not something that many other people would get a large amount of pleasure from. You can download Rigs of Rods here for free.